Jade refers to both jadeite and nephrite. When people use the word, jade, they are actually referring to jadeite, which is the high-quality material you see in jewelry. Jadeite bangles are very popular in Asian culture. Chinese grandparents give jadeite bangles to newborns as an amulet, because in Chinese tradition jadeite rids evil ghosts and protects young and insecure souls. The shape of a bangle bracelet represents happiness and completion. 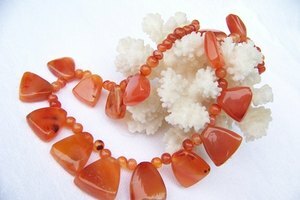 Decide the type of jade bangle bracelet you wish to acquire. 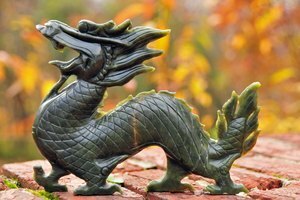 Jade is divided into two major types on the market: nephrite and jadeite jade. Jade composed of nephrite is very common. Nephrite is often used in sculptures, as its texture is not suitable for fine jewelry. Jadeite is the material used in fine jewelry. The kind of jadeite that appears in emerald color without any color enhancement is quite rare in nature. Jade treatment determines the price of the bangle bracelet. Grade A is untreated natural jade. Grade AAA and Grade AA are used to describe finer color clarity, intensity and transparency of the jade. Grade B is natural jade treated with polymer. Grade C is natural jade treated with color enhancements. Certain Grade C jadeite is treated with enhanced colors. The colors available are green, lavender, white, mixed color, yellow jade and red/orange. 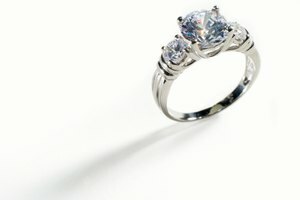 Go to a reliable jeweler. 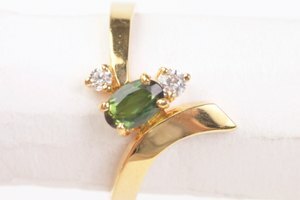 Inquire if the jeweler belongs to a gemstone association. 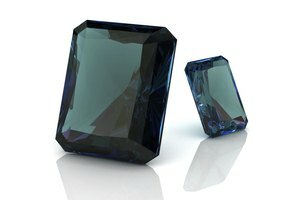 Associations such as American Gem Trade Association (AGTA) and International Colored Gemstone Association (ICA) perpetuate a certain ethical standards among its members. Inquire if your jeweler offers certificates from U.S. Gemological Institute Of America (G.I.A. ), Hong Kong Jade & Stone Laboratory Limited, China Gemological Testing Center (GTC) or any other internationally recognized testing laboratories. Certificates authenticate the quality and estimates the appraised price of your bangle bracelet. Compare prices of jade bangle bracelets by different retailers. A fine bangle bracelet that shows good clarity, color intensity and transparency could come with a price tag upward of $8,000. 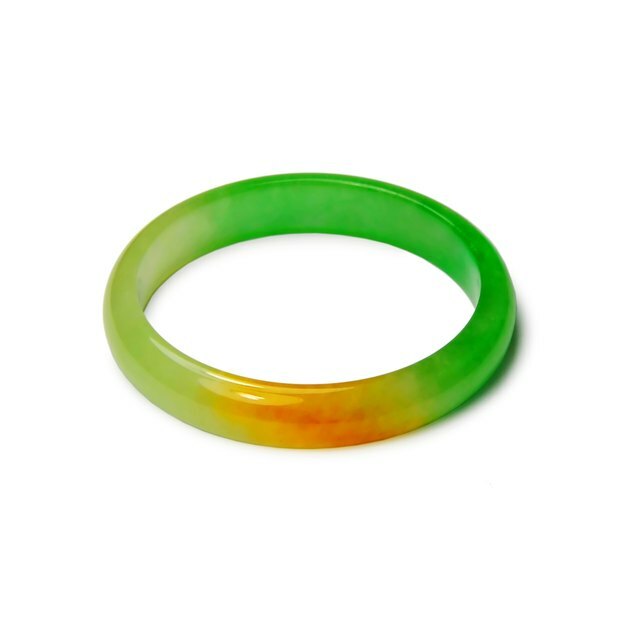 Jadeite bangle bracelets, priced anywhere between $140 and $450, are good for personal enjoyment. They would not be a wise investment if you are seeking value appreciation in the future. Many jade collectors value antique jewelry, as jade color grows deeper and develops a shinier surface from frequent contacts with the wearer. Use untreated, Grade A Imperial jade without brown blotches as a starting point for your bracelet search. You could go to the lower Grades if the bracelets you come across are too expensive. Examine the edges to see if the jade bracelet shines naturally without the lighting effects from jeweler lamps. Look for chips and unevenness around the bangle. Evaluate jadeite's color by its tone (lighter or darker color), saturation (color intensity) and its hue (position on the color wheel). Use a color wheel from the retailer as a reference. Keep in mind that top-quality jadeite appears in fine "emerald green" without any color enhancements. Study the texture of the jade. A high-quality piece should be free of such blemishes, as brown and gray spots. Study the bangle bracelet carefully using a side-by-side comparison. Compare the color saturation between jadeite bangle bracelets. Ask the merchant to show you Grade A and Grade AA jade samples, so you have a point of reference for comparison. Saturation is very important to green and lavender jade. A fine quality jadeite should appear with very penetrating, intense color, even when viewed from a distance. The ideal tone is evenly distributed, not too light or too dark. Evaluate the evenness of the color distribution throughout the bangle bracelet. A fine quality piece should have a color that is consistent and evenly distributed. Although the hinged bangle bracelet has grown in popularity in the U.S. gem market, avoid buying this style; a one-piece bangle bracelet is appraised for higher values than hinged bangle bracelets with jadeite linked together by hinges. Avoid jadeite with veins and root-like specks or blotches, as that is a sign of a low-quality jadeite.